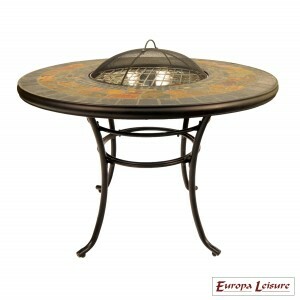 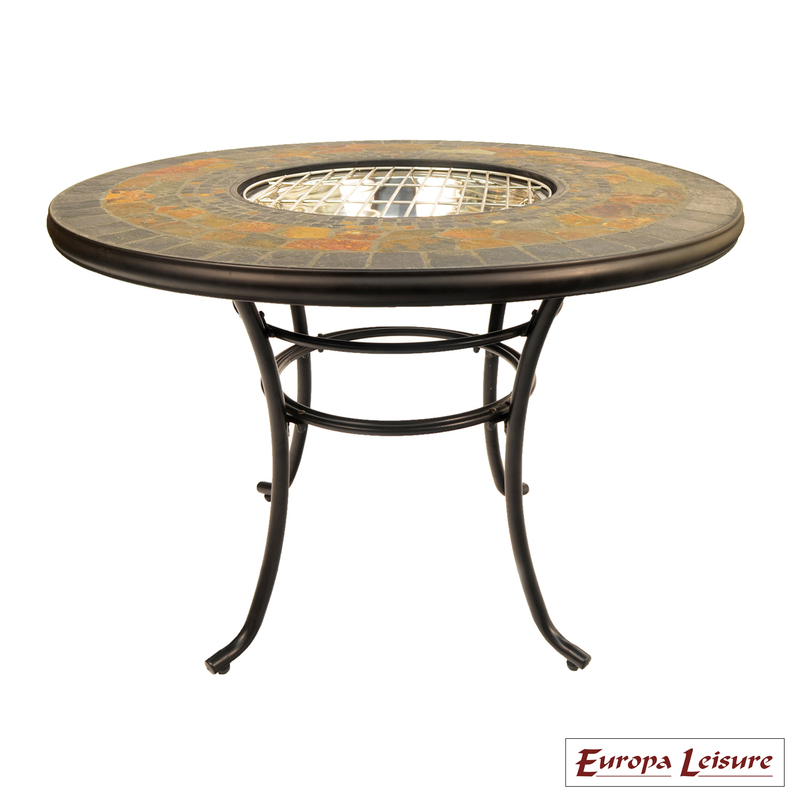 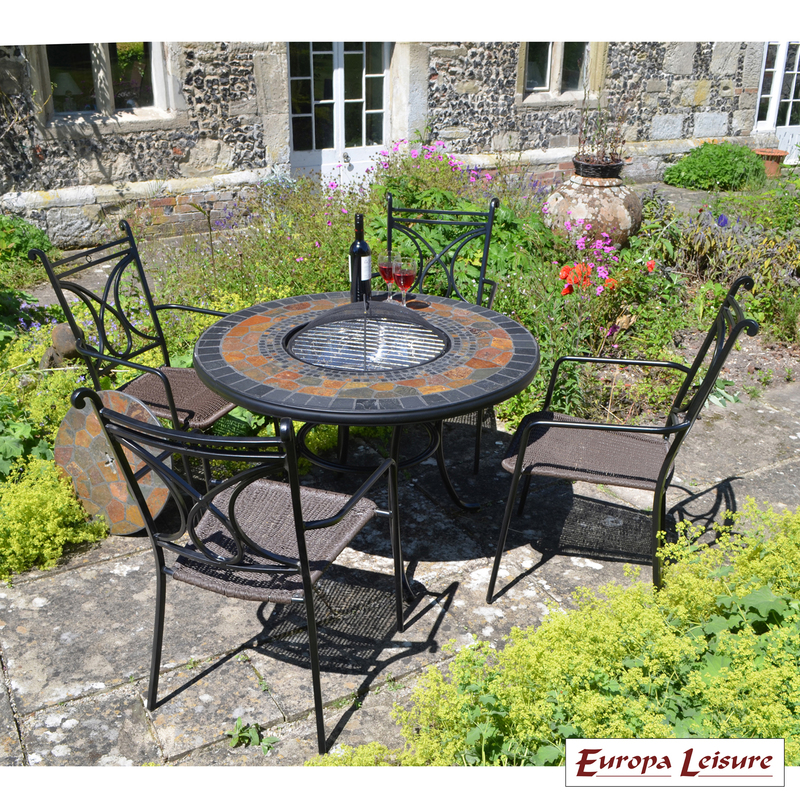 The Durango Tall table (73cm) is a multi functional fire pit table that you can cook on, heat on and chill drinks in. 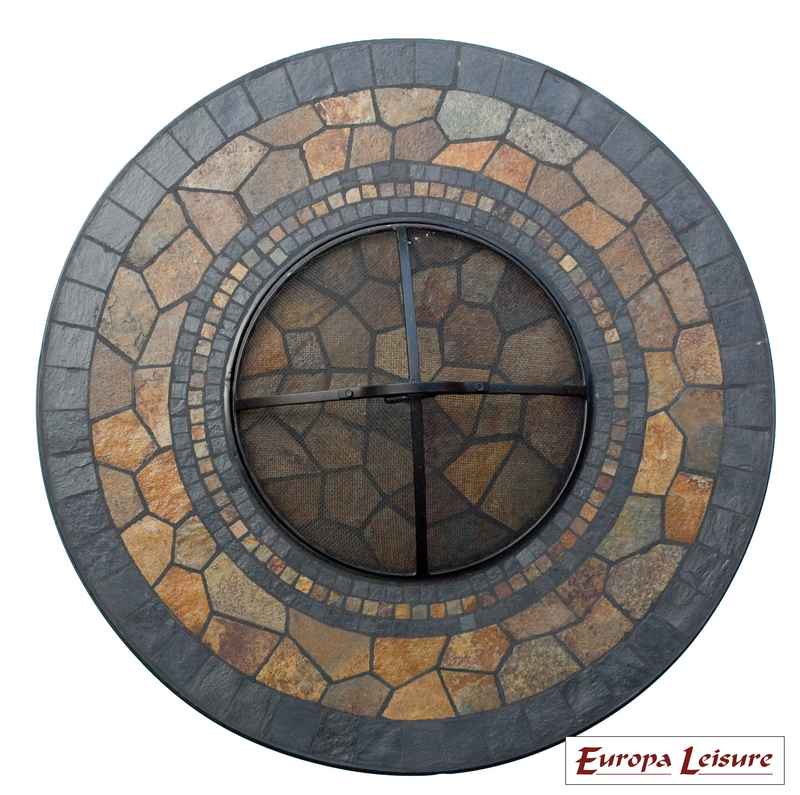 It is supplied with charcoal grid, stainless cooking grill, domed mesh lid and stone plate to cover the fire bowl when not in use. 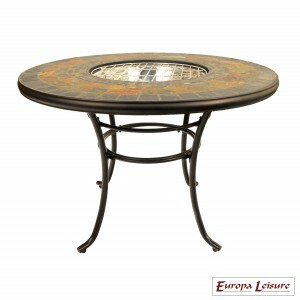 Each table includes 2 stainless steel fire bowls, 1 can be used for heating and cooking, the other for chilling drinks. The stone is predominantly slate and it's earthy tones means it blends in nicely with the rest of the garden. 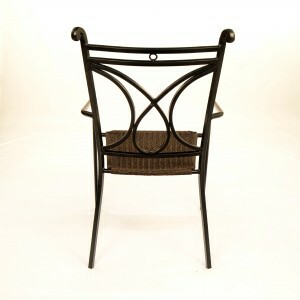 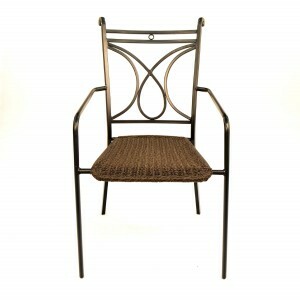 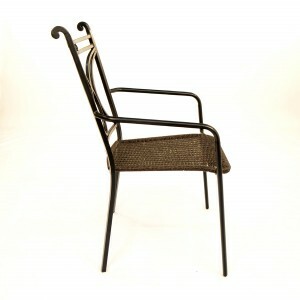 The accompanying black Treviso chairs are elegant and comfortable, they also stack for convenient storage in the winter. 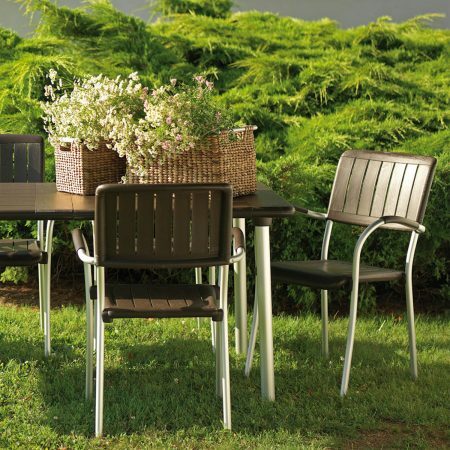 The Durango can be used as either a firepit, BBQ or drinks cooler. 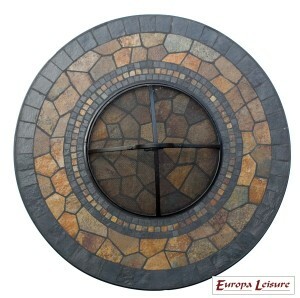 The top is hand cut from riven stone and laid in mosaic style. It is supplied with 2 stainless steel bowls; use one for cooking or heating but if you want to use the table as an drinks cooler simply swap it for the clean bowl and fill with ice. 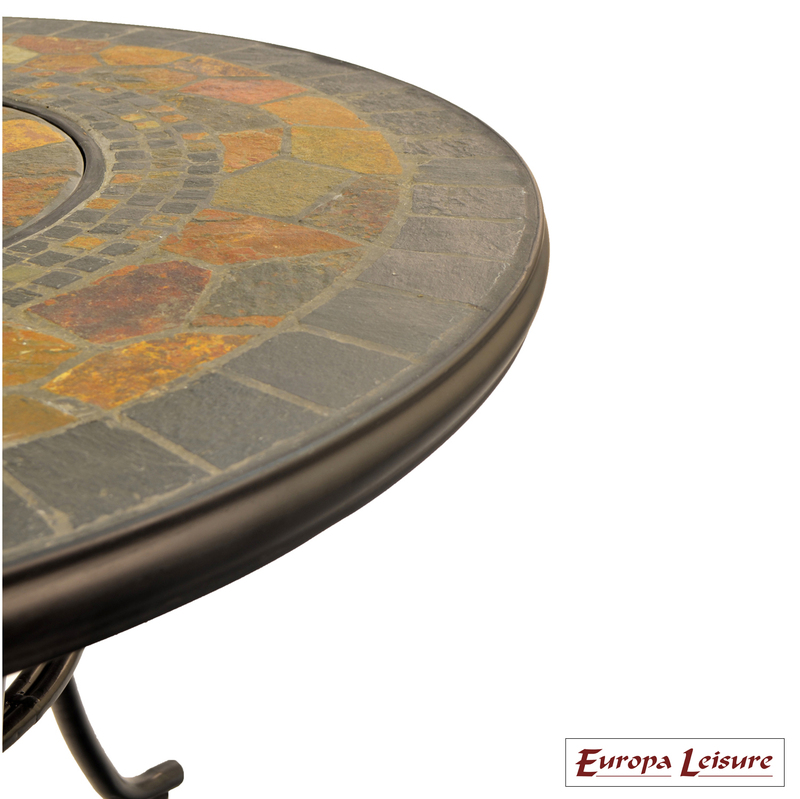 The table also boasts a removable stone plate that covers the bowl when not in use. It also comes with a small charcoal grid to sit in the bottom of the bowl and then a larger cooking grill to sit above the charcoal. 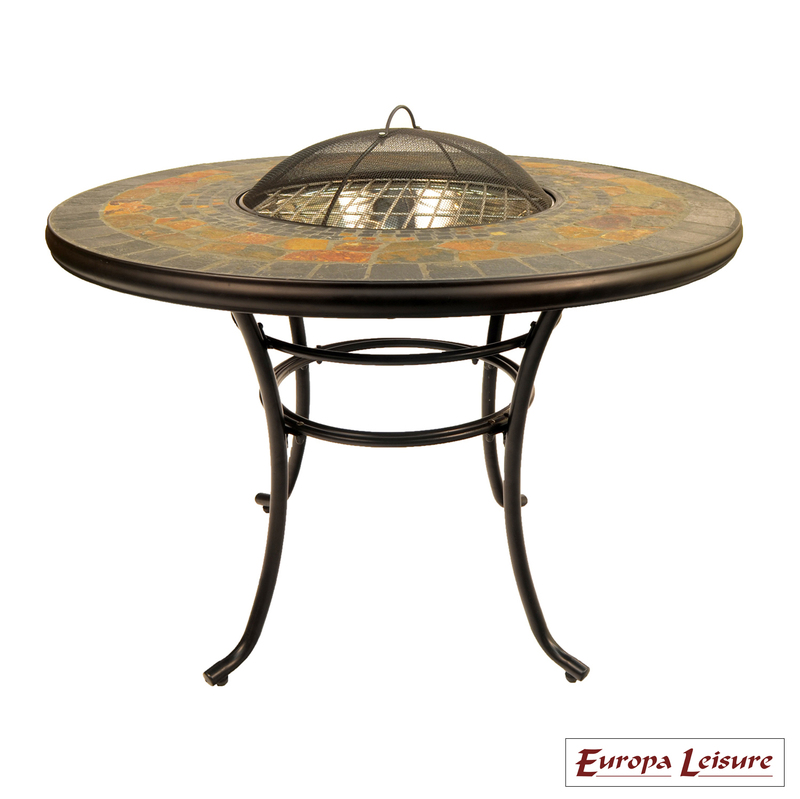 A large domed mesh cover can also be placed over the bowl to protect you from sparks if you’re using it as a firepit to keep you warm. 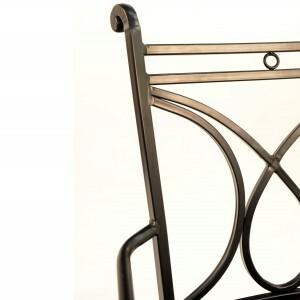 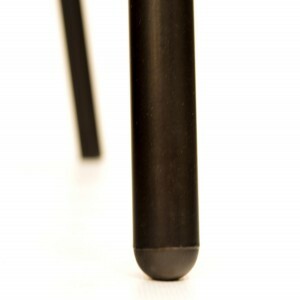 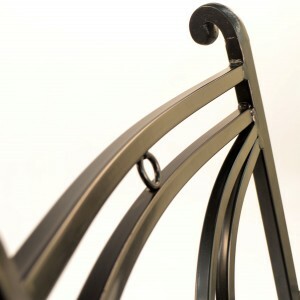 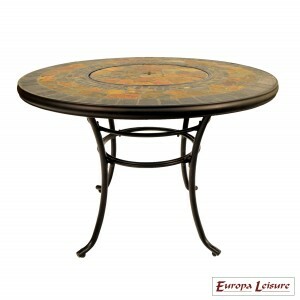 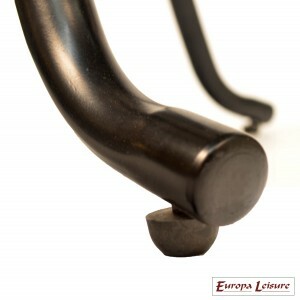 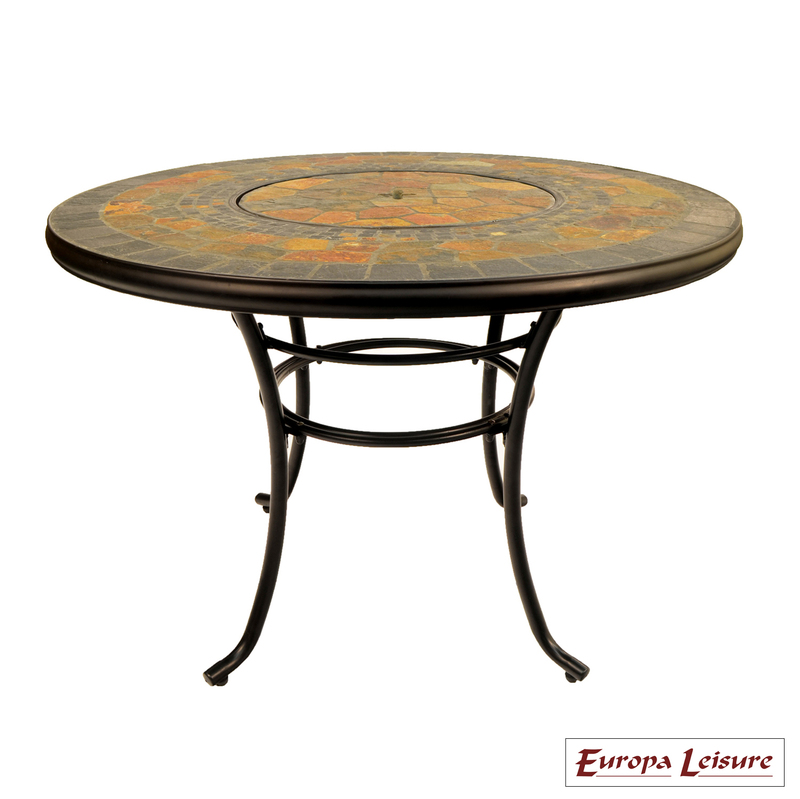 The table rim and legs are e-plated steel powder coated in a black finish. 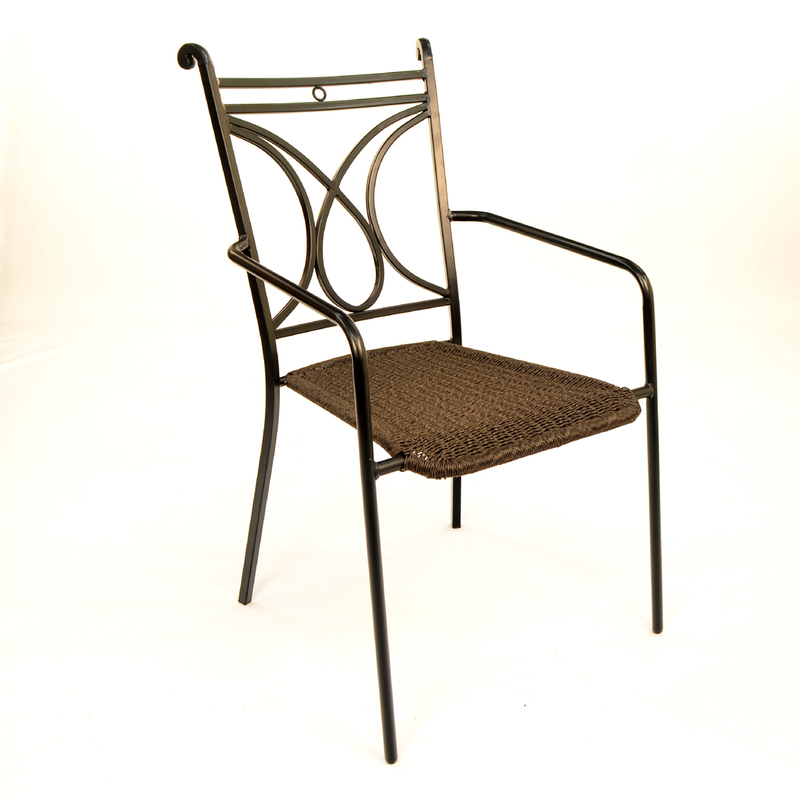 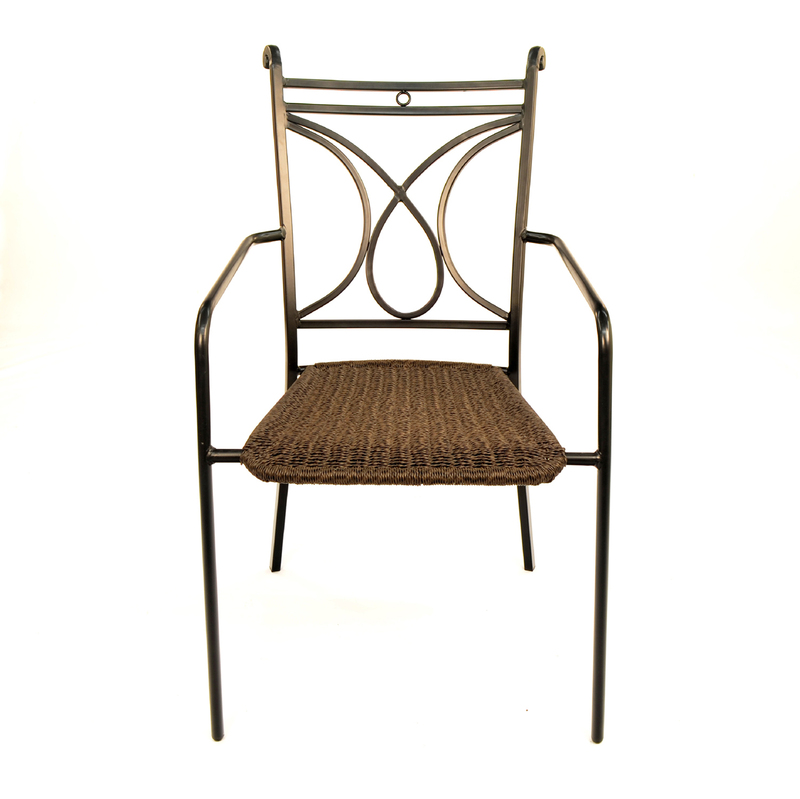 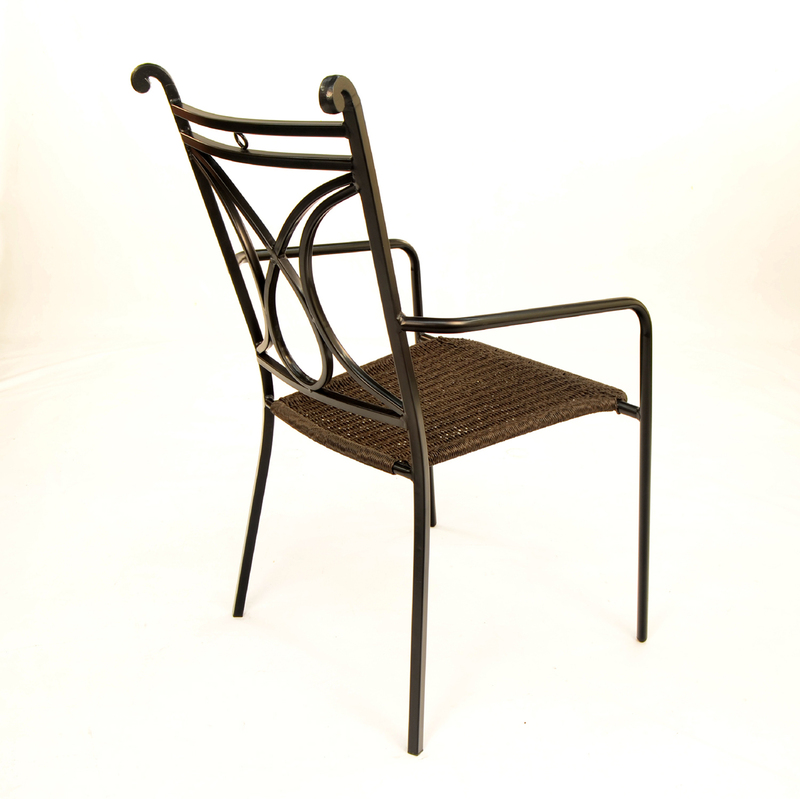 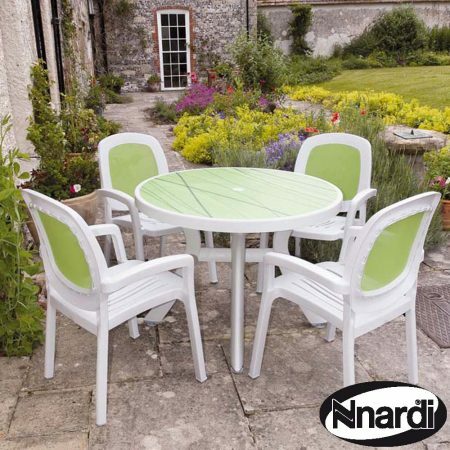 The Treviso stacking chair has a steel frame which is also e-plated and powder coated in black and is hand woven with resin wicker / rattan which is extremely durable.